They are Pro Bowl wide receivers, Chad Johnson and Terrell Owens, who played a combined 26 years in the league. 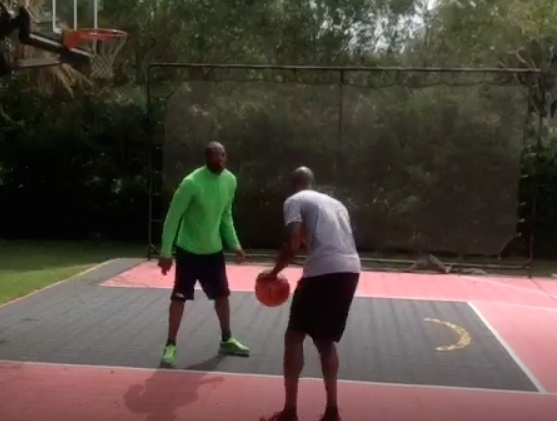 Ocho and T.O., as they are affectionately known, played a game of pick up basketball today, which you can see below, but doesn’t it feel strange and unreal? I’ve said before that a second chance is in order, and surely a team could benefit from the services of either man, and before September 5th we might see one or both in pads somewhere. If not, its long been clear that their off-the-field lives, which have been quite colorful and controversial, have played a large part in how their careers have unfolded. Honestly, I was hoping for something more storybook for them both.